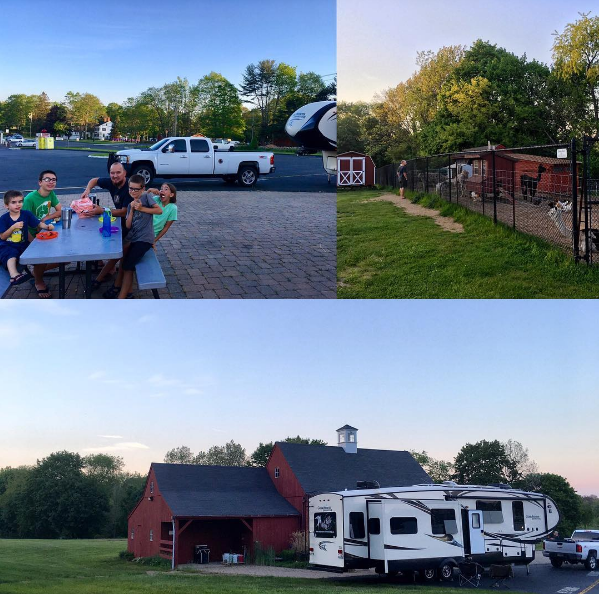 Note to my regular readers: the post below about our Harvest Hosts experience was written in Niagara, NY the day before our truck engine drama began. Our breakdown suddenly became the most interesting topic to write about and this post got set aside. I am thankful to report that as of Monday evening we have successfully escaped Canada! I hope to write more about our exodus in the future. For now, you can hop on over to my Instagram feed to get a sneak peak of our new truck and the excitement our kids had as they ran into Grandma and Grandpa’s arms in Minnesota. Statistically speaking we should have had a disappointment by now. For the fifth time in five weeks we’ve parked our 5th wheel on a stranger’s property with nothing but a Harvest Hosts website linking the two of us together and each time our Harvest Hosts experience has been a new kind of magic. HOW DOES HARVEST HOSTS WORK? What kind of crazy world do we live in now? a) We can pull up a digital map on our cordless cell phone (ok just pause right there. Take in the fact that your mind would have imploded by that statement 15 years ago). b) We can access the internet on said phone (remember when we could only use the internet in our house while seated at a desk?). c) Next, we choose a location where we want to travel to (in our mobile house on wheels–again, mind blown). Me: Hi, our family would like to park our RV on your farm on the night of ______. Does that work okay for you? Harvest Hosts stranger: Yes that would be fine. Harvest Hosts stranger: You are welcome, see you then! e) We arrive on the agreed upon date, park our RV where directed, and settle in. f) Before leaving, we seek to find a way to support their business. g) No one thinks this is strange. WHAT IS A TYPICAL HARVEST HOSTS EXPERIENCE? We’ve sipped wine, ate homemade ice cream, pet animals and chased fireflies. The Hosts have been friendly. We’ve yet to have a neighbor. Magic. Cost: Membership is $44/year, and it lasts for 12 months from the date you join. There are options for auto-renewal ($40), 3 year ($110) and lifetime ($300) memberships. Family Friendly: Children are welcome at all of the Hosts, especially at the farms and attractions. 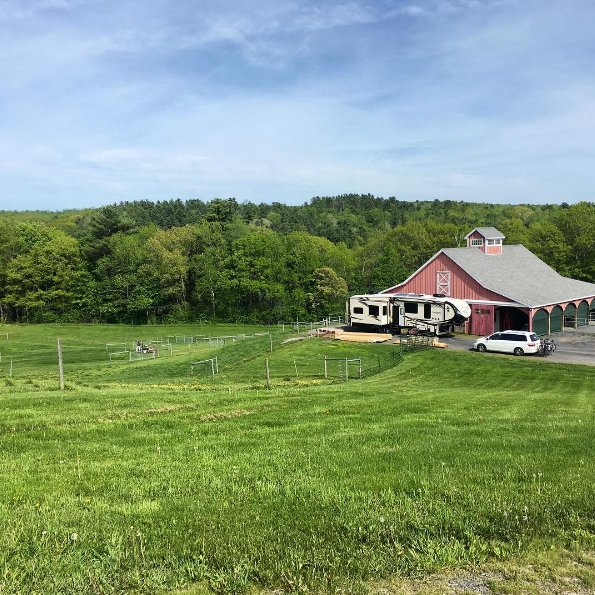 Wineries, breweries and distilleries are typically geared toward adult visitors but as long as your children are supervised they are welcome. 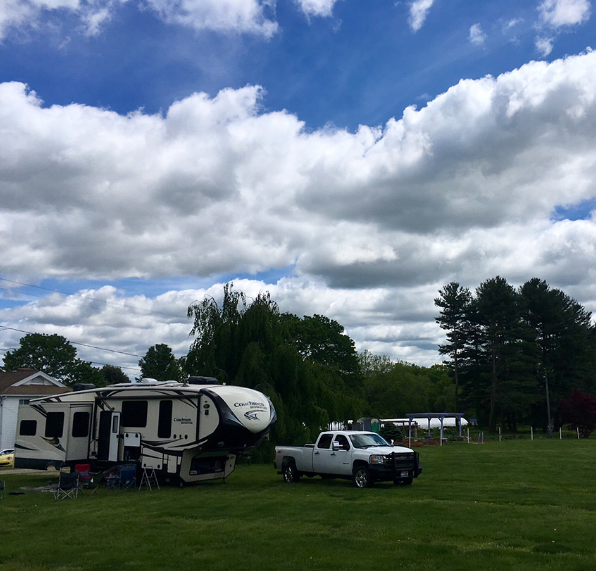 Big Rig Friendly: Approximately 80% of the Hosts are able to accommodate any length RV. Vehicle size accommodated is shown on each Host’s listing. It is recommended that you inform your Host of your vehicle length when calling. Pet Friendly: Nearly all Hosts permit pets on a leash at your vehicle. Please note that farm dogs may be present, so if a pet is accompanying you, please check with your Host before bringing them out. Plan to dry camp: The Hosts are, first and foremost, farms and do not provide the services that you would find at a campground. However, a small number of the Hosts do offer electricity or water. This is indicated on the Host page. Show your appreciation: Please make a purchase to show your appreciation to your Host. This is their incentive to allow you to park overnight. You’ll enjoy buying local products and have the satisfaction of knowing that you’re helping a small business grow and thrive. 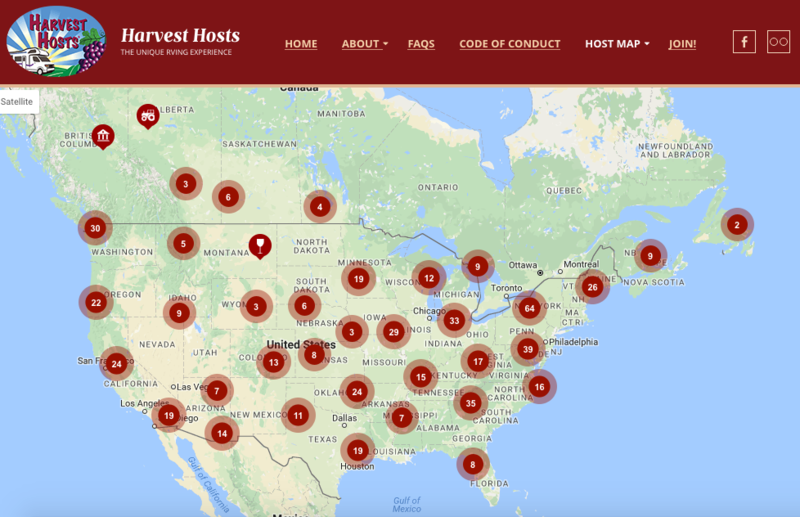 If you want in on the fun, click here to become a Harvest Hosts member! *Please note: At the time this was written I did not receive any compensation for this blog post. They have since added an affiliate program and I am now using affiliate links above. If you sign up using my link I will get a $10 thank you from Harvest Hosts and you will get a 10% discount. Have you used Harvest Hosts before? What was your experience? I am thrilled that you enjoy this program as much as we do. We have loved every Harvest Host experience that we have had. Great post! Thank YOU for suggesting that we try it out! Do you have a blog post about your Harvest Host experience? I was searching for it but couldn’t find it and realized maybe we had just talked directly about it. If you do, I’ll link to your post for additional perspective.